I enjoyed knitting these. 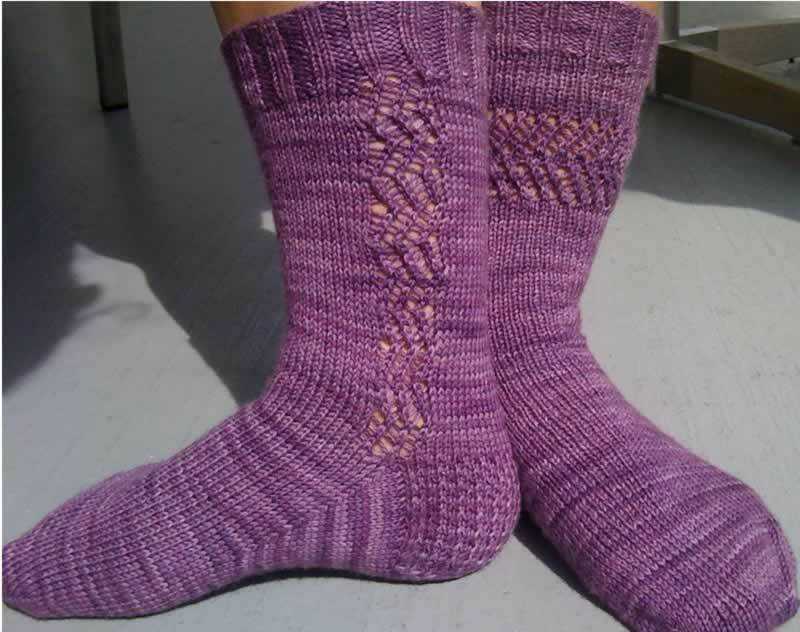 It has been a while since I have made a pair of socks that didn't require a chart. There is a mistake in the pattern for Apollo (see note below). I haven't cast on another pair of socks I can share, but I am working on a test knit for Yarnissima and I am planning on knitting 3 Christmas stockings over the next couple of months. I also plan to make some slippers for gifts and finish up 2 sweaters I started last year. I plan to be busy for the rest of 2010! Details: Quick and easy pattern to knit. Apollo has an error: the YO, SSK should actually be SSK, YO. Easy pattern to memorize making these great for the car.